LaserMax Guide Rod Laser Sighting Systems deliver reliability and performance your life can depend on. With easy installation and factory alignment, they ensure user-installed point of aim/point of impact each and every time. Because the guide rod is internal, there's nothing to interfere with the firearm fitting securely into any model-specific holster. 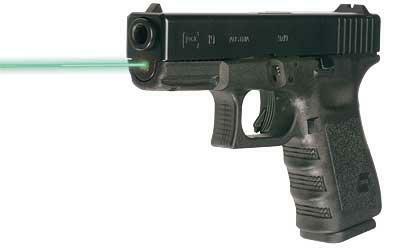 The highly visible pulsating green laser enables accurate shot placement, even when shooting with weak hand, from prone position, or from other non-standard firing positions.